In this article we will be discussing Pomeranian health and various medical issues that Pomeranian dogs are particularly susceptible to. This breed of dog is actually one of the healthiest and most liveliest amongst all dogs and they generally live to a lengthy age of 12 – 16 years. However, even though this is such a hardy breed, all Pomeranians are capable of contracting disease or suffering from illnesses every now and then. This is a simple fact of life which should always be considered. One upgrade to your house I would also recommend getting is an air purifier for pets, which will help both you and your pet to live in a contaminant-free environment. We have compiled a list of some of the most common diseases and medical problems known to the Pomeranian. Don’t let this information scare you! It doesn’t mean that your pet will develop these issues and many Pomeranian dogs live healthy long lives completely disease free. Knowledge is power and by educating yourself, you may be able to identify the initial symptoms and reverse health issues before they pose a serious threat. sure your dog gets enough exercise! The next Pomeranian health problem that we’ll discuss is patellar luxation. veterinarian at any sign of this. puppy coat, the adult coat would be much thinner and shorter. typically recover in no time at all. Skin and coat problems are always a worry to pet owners as well as irritating to your pet. I found a lady who went throught trials and triumphs with her little Pom. She has written this marvelous book for everybody to learn from her journey. I highly recommend it for any dog owner. always prevention and early detection. always have a trusted Veterinarian that you can depend on. with, please use the submission form below. Is your Pom currently facing a health problem? If you would like to discuss the problem or ask questions of our community, please feel free to share. 14 year old Pom just developed a hacking cough like a cat with a hair ball ? Is epilepsy or seizes an issue with poms? Ten week puppy. Woke up vomiting blood is in his vomit and thick mucus. He still has plenty of energy??? My Pomeranian is shaking and yelping for no reason? My neighbors pom can’t see anymore … euthanised ??? I love animals and I am broken hearted to see that my neighbors pom can’t see anymore. 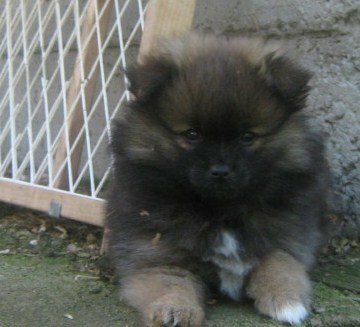 MY LITTLE POM IS SICK AND THE VETS CANNOT FIND OUT WHAT IS WRONG WITH HIM. Just bought the best dog I’ve ever met. I am going to do everything that will guarantee a long and happy life. I have an 18 month old female pomeranian. She has a small spot on her belly that is weeping. What could it be? It is not bothering her at all. My Pom I notice he drools when he s being walked . What is the problem if you see a brown spot on the outer part of his eye,next to his iris , more than the other one,but it has a little less . I’m fixing to purchase one I want to know about its medical history. Is this normal or is she pregnant ? Could you please tell us a bit more about him so somebody could help you? When I take my pom out to potty. He starts to eat grass. Is that ok, or is that a sign that there is a problem. Help Please! Is there a vitamin supplement that would help dissolve the stones? Return from Pomeranian Health to the top of the page.